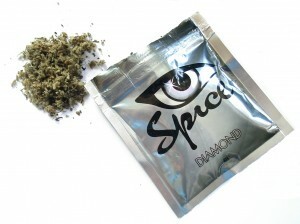 Beware of synthetic marijuana like this popular brand, Spice Diamond. There is a popular new drug sweeping the country is sold under the brand names of spice, potpourri, or synthetic marijuana. This is a designer drug that is supposed to give a mellow high very similar to the natural plant. It’s popular among drug dealers because they don’t need to take the time to actually grow marijuana.